My sweet, sweet hubby left for the work season today. We were blessed enough to have him home for four whole months- which is more time with us as a family since before I was pregnant with our first little buddy. Maybe my pregnancy scared him away. Four months home was amazing. I had a partner in parenting, someone to laugh with about the ridiculousness of our days, a date for random date nights and my best friend here. During the next year he’ll be home about three months if we’re lucky… at least we made a lot of memories to keep with us. Five more weeks of work and we will be adventuring off to visit Daddy at work. It’s going to be awesome! My predictions about this summer were solidified when we were walking across a parking lot last weekend and Gracie popped down to pick up a pine cone she spotted. Then carried it around with her the entire day. 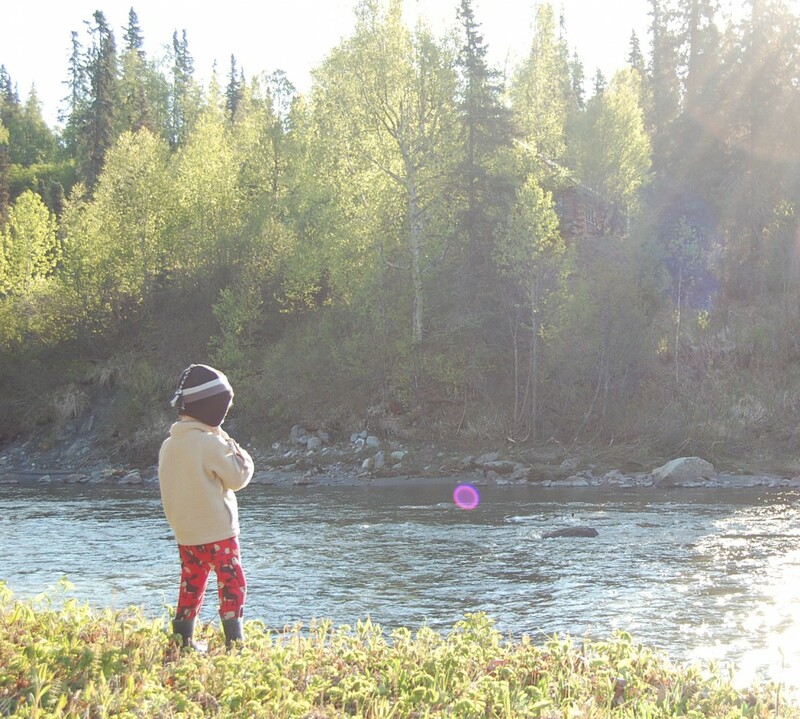 My kids+ mom not working + Alaska nature= memory making!